300 care bags!!!! May 26, 2014, week 57 of making and delivering care bags to the homeless of Logan Square, Chicago. 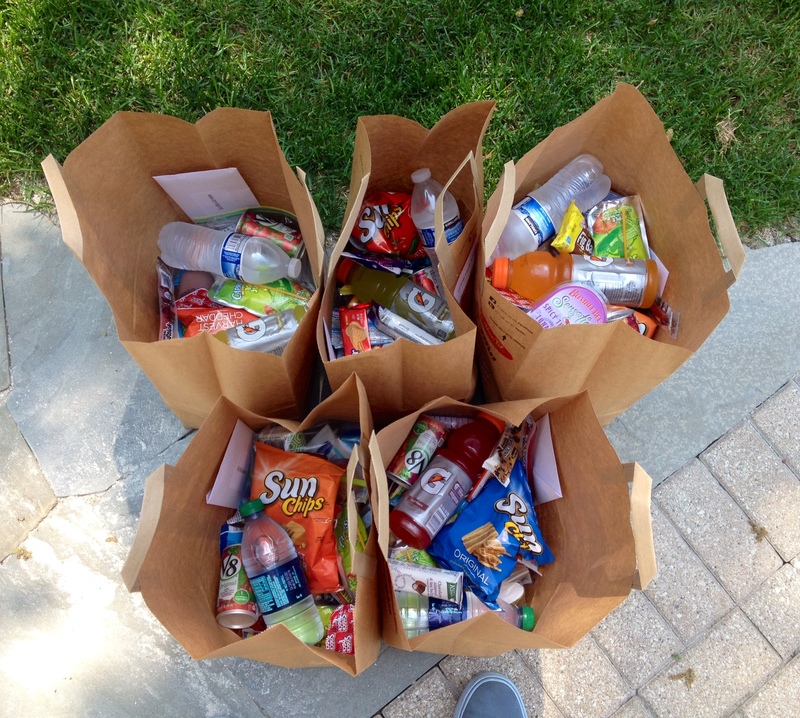 As of today 301 care bags full of nutritious snacks, toiletries and assistance information have been delivered. 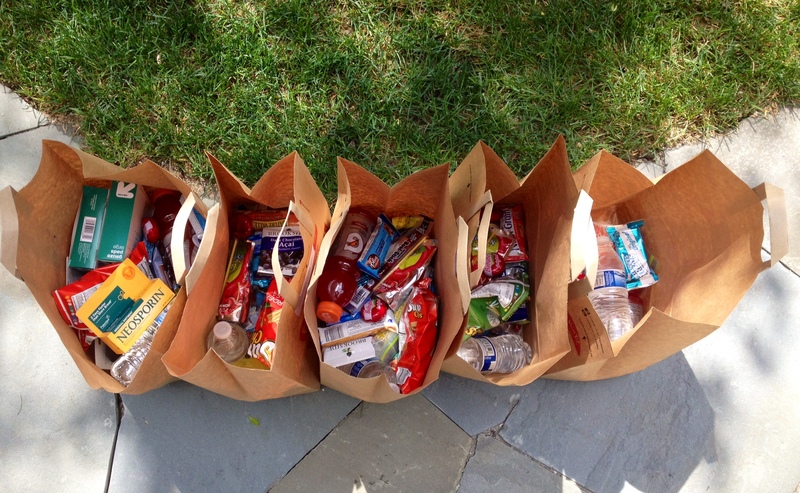 Want to make care bags for your community? Follow the link to get a little more insight on how you can do it. Happy Memorial Day everyone. Ill be expressing my thanks to the homeless veterans I know. Sadly, 40% of homeless men have served our country in the military. Ted (50’s) is a veteran that panhandles on the Fullerton exit ramp. He saw me coming with a care bag from a far distance and started walking towards me. I took it as a sign he had something to tell me or something on his mind. Reaching out to shake his hand he told me to be careful, he felt like he broke his hand and the swelling was severe. Recently some men were taunting him and throwing things at him as he was catching a nap under the nearby overpass. When it escalated to a physical assault, Ted fought back and may have broken his hand. Apparently his hand is getting better but I couldn’t imagine it any more swelled than it already was. The men fled, jumped in their car and drove away. He was successful in defending himself this time. I hope they don’t come back and try to settle the score. This is an example of some of the dangers homeless experience at any given time. Beyond the exhaustion, hunger and misunderstanding of the public, they run a risk of enduring these types of assaults. Most homeless I know are in no shape to defend themselves like Ted. I know they feel there is no help from the authorities in these cases. They have limited resources and those resources cant keep up with the growing homeless population. May 17, 2014, week 56 of making and delivering care bags to the homeless of Logan Square, Chicago. 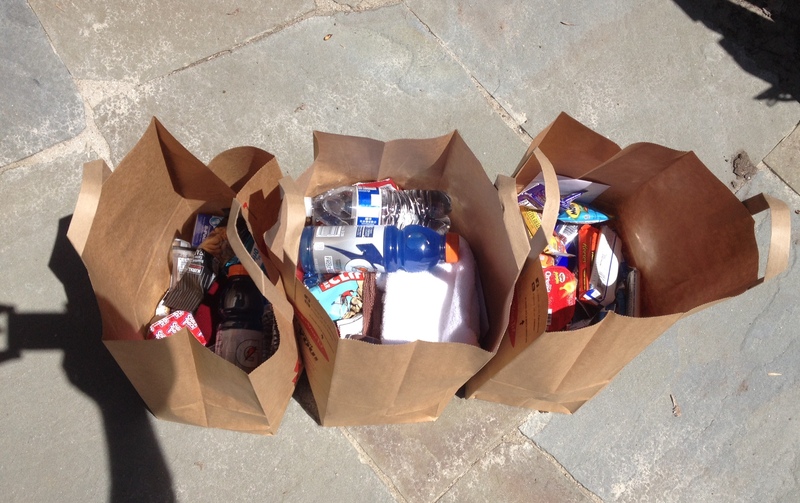 As of today 296 care bags full of nutritious snacks, toiletries and assistance information have been delivered. Today was a nice sunny day to deliver care bags. I’m aware, at times, about my personal mood when I deliver these bags. I think its worth mentioning. I tend to wear my emotions on my sleeve, but being positive and smiling is a great way to be, if not for my own sake, for the sake of those that receive the care bags. Bud today was panhandling at his usual spot, maybe for the last time. He was in great spirits, telling me his sister was coming to pick him up at 3:00 and he would be spending the weekend at her place. He feels this may be the last time panhandling for him, he wants to move on. We’ll keep in touch and I hope he reaches out to me if he needs anything. I certainly could help him with my network of friends. I’m feeling great about his chances. He was happy with his video as well as his family. The family saw the video before he did. His counselor pulled it up on YouTube for him to watch. He asked me to thank Nathan Schill for his work on the video. Talked to Nic today and Michael. They panhandle at different locations, usually seeing Nic first. He goes to treatment on Monday and voiced concerns about Michael. They rely on each other so much, how does one get clean while the other is not. If this was addiction rehab by normal standards, you would leave addicted friends behind. You would not associate with past friends and enablers that made it harder or impossible for you to get clean. They’ve been together for over 5 years helping each other on the streets. Nic talked about Teresa still at Safe Haven shelter/rehab. I’m going to try and see her soon to catch up. She’s clean according to Nic and wants to get out of Logan Square and the life. A brief conversation with Michael. He told me his clothes finally had dried out after being wet for a few days and he was down to his last pair of socks. I asked him to let me know if he needs something. He hates to ask and I can relate to that. It was an opportunity to get him and Nic some socks. I know he can get his own socks, but I could make it a little easier for him. 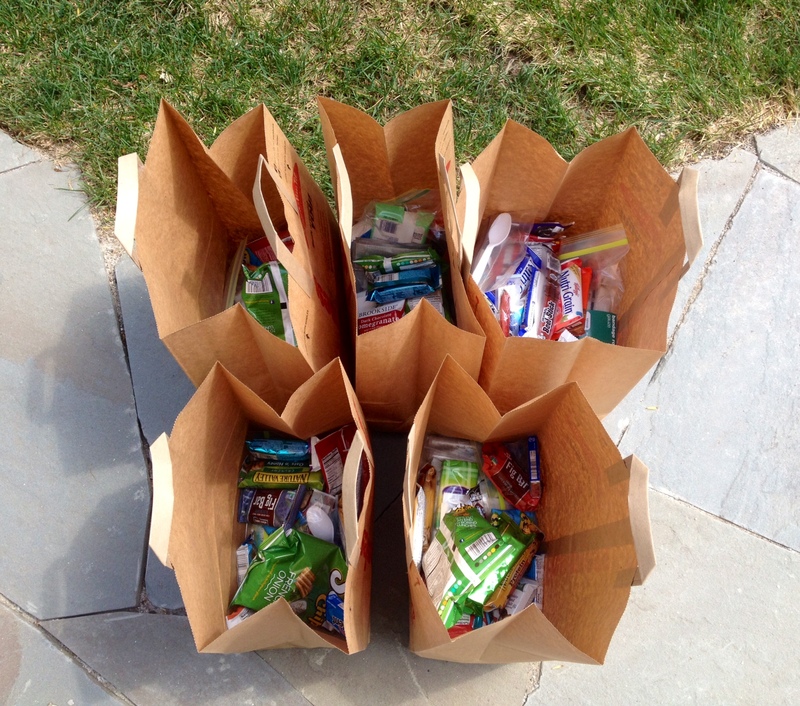 May 10, 2014, week 55 of making and delivering care bags to the homeless of Logan Square, Chicago. 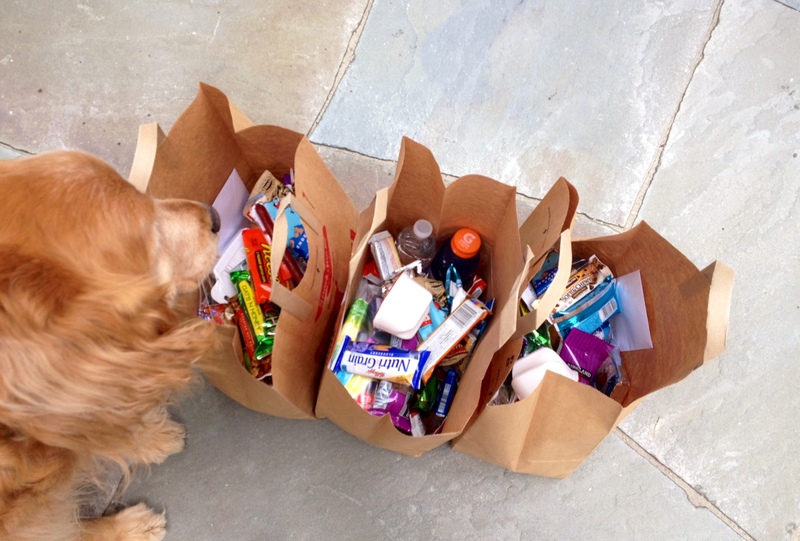 As of today 291 care bags full of nutritious snacks, toiletries and assistance information have been delivered. 14 days left for the care-bag.org fundraiser. Please visit www.care-bags.org for more information and how you can make your own care bags. May 4, 2014, week 54 of making and delivering care bags to the homeless of Logan Square, Chicago. As of today 286 care bags full of nutritious snacks, toiletries and assistance information have been delivered. Talked to Bud more today and how his sister is helping get him off the streets. Hes reunited with his wife and family and is over the moon happy. We will be interviewing him again this week and share this great news. He speaks of this being the last week he’ll be panhandling. I hope it happens for him, He has such a good shot of staying off the streets. We exchanged phone numbers to keep in touch. Hes worked construction in the past and Im hoping to help connect him to some people that might give him a job. He’s been staying with his family, enjoying all the pleasures he has been missing during his year being homeless. Hes baking cakes, playing with the kids and got to See his 18 year old daughter off to the Prom last night. The fundraiser is going well, $2,950.00 raised towards the $6,000.00 goal. 20 days left in the fundraiser to keep making these care bags and raise peoples awareness of the homeless. I’m staying positive in hopes of reaching this years goal. I’m hoping people see the value in forming connections to others that are homeless and sharing in the attitude that we are all her to help one another; our purpose in life.